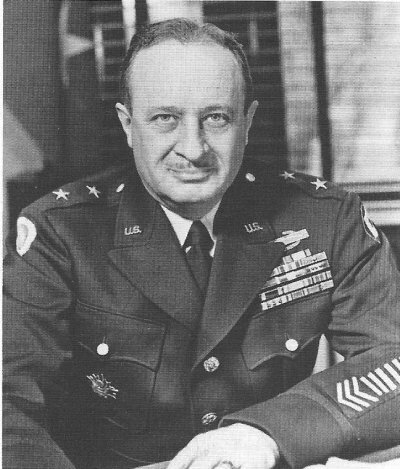 The Pacific War Online Encyclopedia: Beightler, Robert S.
Beightler commanded 37 Division when war broke out in the Pacific. His division was an Ohio National Guard formation that performed well in combat. Beightler himself was that rare phenomenon, a reserve officer (educated at Ohio State University) who was given a division and retained command of it throughout the war. Beightler had the support of Oscar Griswold, who had a rare respect for reserve officers and National Guard formations, and under whom Beightler served during most of the war. Griswold was able to deflect considerable criticism from Krueger, who disliked National Guard units and officers, and recommended a Distinguished Service Medal for Beightler against Krueger's wishes. For his part, Beightler disliked both Krueger for failing to give his division due credit and Swift for failing to use his division aggressively.